Time spent with your fleet in the repair shop is money lost by your company. 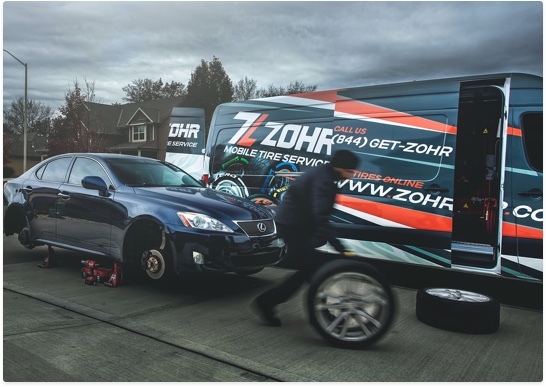 Get that time and money back with Zohr. We provide on-site tire and battery service to minimize your fleet's downtime. Simply choose the services needed and schedule an appointment. We service a wide range of fleet vendors, including GE, ARI, Wheels Inc, LeasePlan, Enterprise, and Michelin National & Government Accounts. Pro Tip: Schedule an appointment while your vehicles are on a job site. We'll service your fleet while you service your customers. No down time. No money lost.